Alice Maria was born to J.C. and Myrtle Post, delivered at home by her Grandpa Fred, on November the 6th, 1937, near Lindrith, NM. 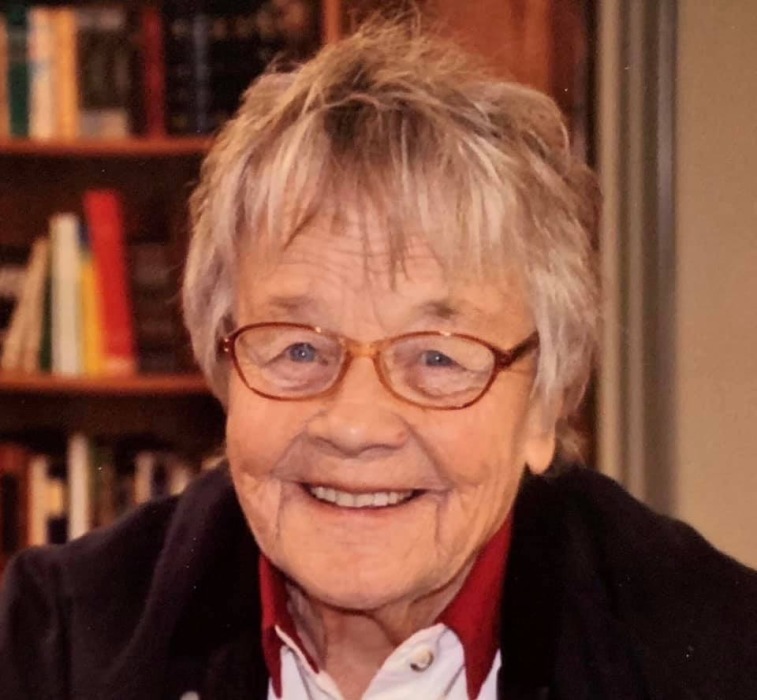 She danced into Heaven on April 10th, 2019, at the age of 81, no longer confined to a frail and ailing body. Alice grew up and attended school in the Lindrith area, making many lifelong friends there. As the oldest of 7 siblings, she enjoyed being like a second mom to them, and was sorely missed, when at the young age of 16, she met and married Gene Bradley in 1954. To this union was born 5 children. They made their home in Ruidoso Downs for a short time, moving then to a cabin down the Largo Canyon on the Kaime's ranch. With her Dad’s help, they built a home on 40 acres in Lindrith, before moving in 1969 to Cuba, NM. Gene passed away in 1976 and in 1980, she married Nick Nichols, gaining a stepson and family. They renovated and moved back into the home in Lindrith until Nick’s health required them to move to Bloomfield to be closer to Drs. They shared 28 years of good times before Nick passed away in 2008. In 2011 she wed Tom Johnson, but due to dementia and failing health, this marriage failed after a few good years. She was a generous and thoughtful person and lived by her motto that “If you share what you have, you will always have enough” And she did. There was always enough food for an unexpected guest at the dinner table or care package for someone in need. She had an innate sense of when someone was in need of an encouraging word or friendly hug. (She was a hugger!) The Missionaries were always welcome at her home and were often told to “Just make yourselves at home, help yourself to anything in the fridge”. She loved to play dominoes and was a fierce opponent. She taught the game to all the kids and grandkids (and was seldom ever bested). Little did they know the math and critical thinking skills she was instilling. She was a true patriot and avid supporter of charities. She had quite the collection of American flags, pens, calculators, calendars, cards, totes and other such freebies that come from donating to such organizations as the disabled American Veterans and the Boys Ranch. She had a large stack of ‘thank you’ notes from recipients of craft kits sent to Disabled Vets, over the years. Being friendly and making friends came easy to her and served her well as she worked hard, as a single mom, to support her family as a waitress and a bartender, in Cuba, NM. And for a time, doing both. Waitress by day, bartender by night. One of her favorite jobs was a summer she spent working for North West Pipeline, where they utilized a helicopter to drop off workers at well sites. She had many fond memories and good stories from that summer. One of her favorite pastimes was to wander through the hills near her Lindrith home, amidst the sagebrush and pinion, searching for arrowheads and antler sheds. A new neighbor to the area once commented that she was the first pistol packing neighbor he ever met. She would strap one on when she went out walking, occasionally finding a need for it. An occasional rattlesnake or once, her dog daisy alerted her to a bobcat that was preparing to pounce on them. Alice had a wonderful attitude about adversity and never complained about life’s setbacks, or pains. She just picked herself up and carried on. From coping with losing her first child at birth, having 2 children perish in a house fire, single parenting two teenagers, caregiving for an invalid husband while battling bladder cancer simultaneously, numerous times over the years, to finally dementia and failing physical health, she took it all into stride. And, as was typical of her, soon won her doctors over to good friends with her wonderful sense of humor, quick wit and uncomplaining ways. She loved a variety of good music and dancing, attending many dances at the old Legion Hall in Lindrith, enjoyed the Spanish dances in Cuba and in her later years, was a regular at the Senior Citizens Center and Friday night Aztec Restaurant dances. After being introduced to the Bar D Wranglers, she became what we lovingly teased as, a “groupie.” Alice attended as many of their shows and Jamborees as she possibly could, and owns every CD and video they’ve made. And of course, they and their families all became good friends along the way! She never was one to sit and watch TV, she just didn’t like the ‘noise’. The only shows she would sit and watch were the Bar D Wranglers videos or Bull Riding with Owen. For years, she kept up with who was who on the PBR circuit. She had friends from every walk of life, feeling equally comfortable with all, unimpressed by their station in life. She freely loved and was freely loved in return. She is survived by a brother, Hap Post (Jana) of Big Spring, Texas, sisters; Kate Page of Lindrith, NM, Dorothy Casaus of Bloomfield, NM, sister in law, Betty Post of Lindrith, NM. Daughter, PeggySue Holdaway (Lee) of Springville, Utah and son, Owen Bradley of Riverton, WY. Joe Nichols, Penny Wheelis 12 grandchildren, 25 great grandchildren and numerous nieces, nephews, cousins, and other family members and dear friends.